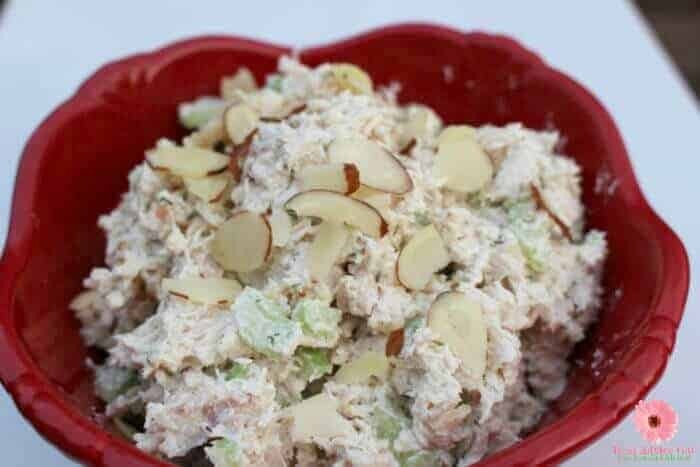 Pair this Turkey salad with chips, crackers or put on a bed of lettuce for a quick and easy entree. 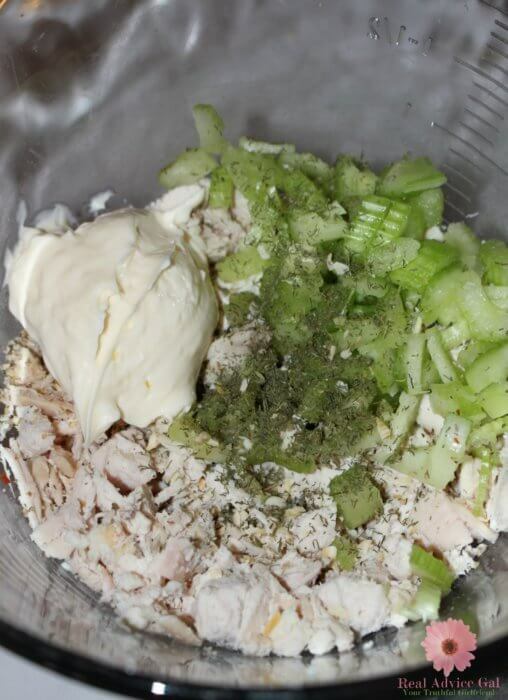 Assemble your turkey salad by mixing the first three ingredients with mayonnaise. You may use equal parts of each or add more of your favorite ingredients. Variations: We added, salt, pepper and some dill weed into the mixture! 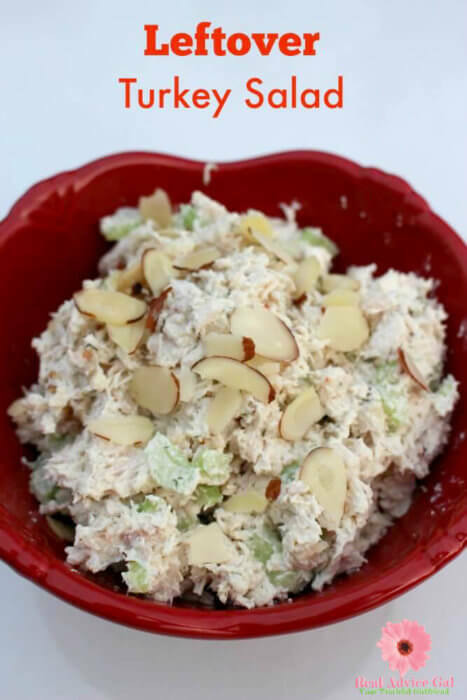 Some of our family just ate the turkey salad plain with a spoon or scooped in a celery stick (gluten free!:)). Other family members put the turkey salad on herbed baquettes. 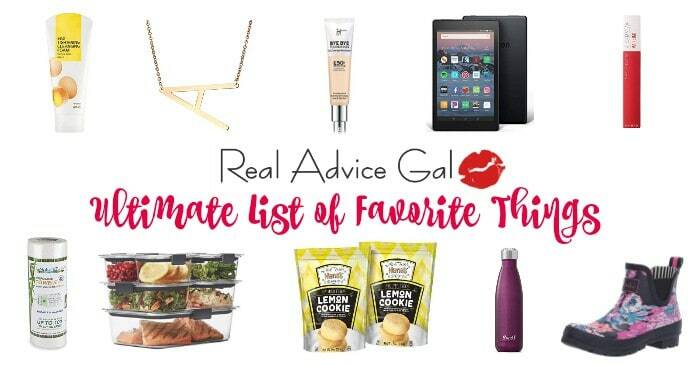 Wild Turkey would also work well in this recipe! For other gluten free recipes and ideas see this: Gluten free dressing, Thanksgiving tips, or make this delicious upside down Lemon pie. Whether enjoying the turkey salad gluten free or with baquettes be glad for a different presentation for your leftovers!